Mark Gatiss adapts the chilling ghost story by MR James. A young student is drawn into a family feud when a relative comes to find a particular book at his university. The chilling story of Dr Rant, whose wicked streak continues from beyond the grave. Based on the festive ghost story by MR James. When a relative comes to find a particular book at the university library, young student Garrett is drawn into a family feud over a will and its legacy - with terrifying consequences. 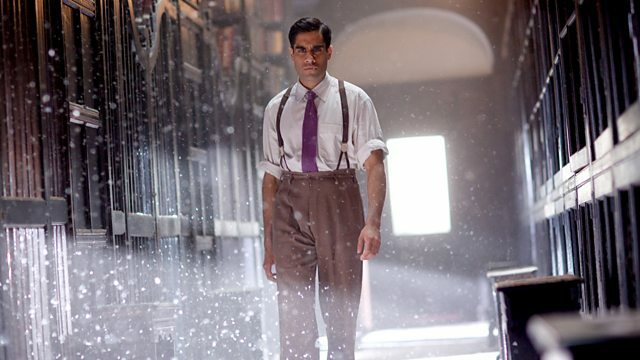 Sacha Dhawan (Last Tango In Halifax, Being Human; The History Boys), John Castle (I, Claudius), Louise Jameson (Doctor Who, Doc Martin) and Una Stubbs (Sherlock, Til Death Do Us Part) star in The Tractate Middoth, a chilling Christmas ghost story first broadcast on BBC Two in 2013. BBC Four presents a night of classic chilling stories. Mark Gatiss steps into the mind of MR James in this documentary.